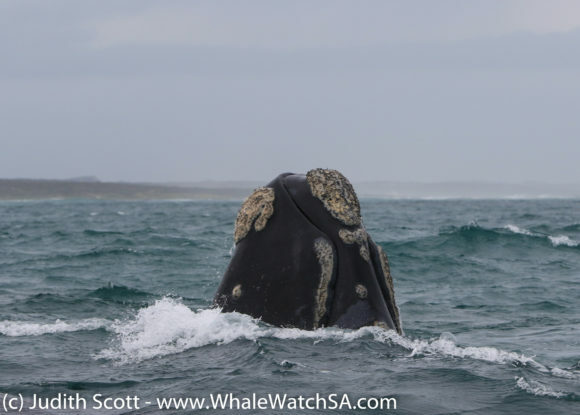 We enjoyed two trips out on Dream Catcher today with the first launching from Gansbaai harbour due to the new moon causing a spring tide. 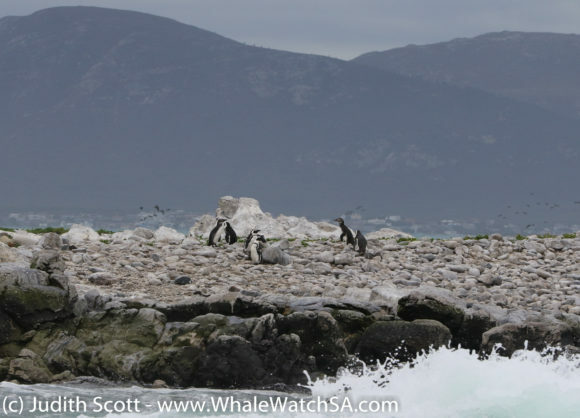 The first sighting of the day was none other than the endangered African Penguin, followed by some Cape Cormorants. 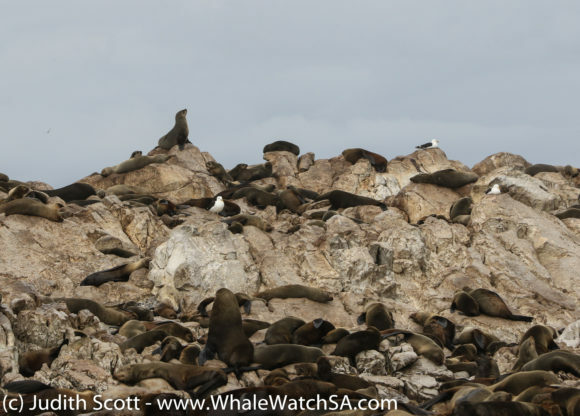 We stopped at Dyer Island and Geyser Rock next, spotting a couple more Penguins and then heading off to find some Southern Right Whales. 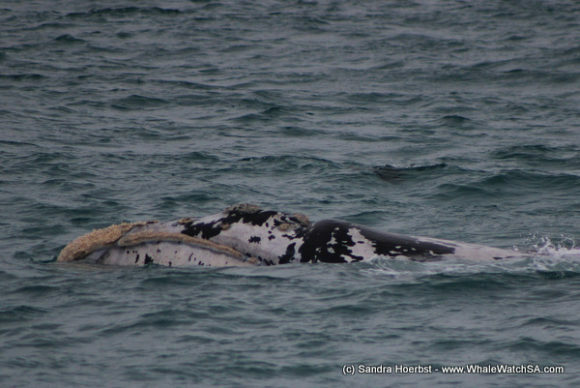 The first whales that we caught sight of were a mother and her calf. 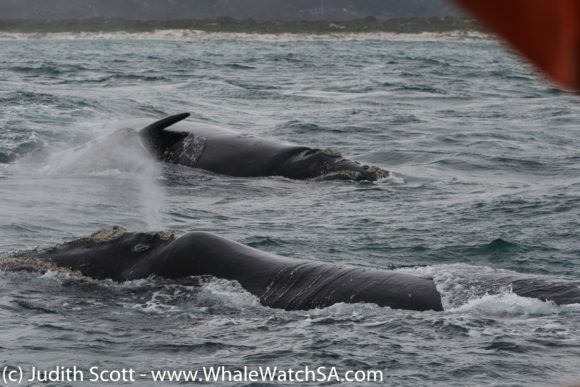 This is really great to see as it appears as though we may have a few more of these special pairs moving into our area. 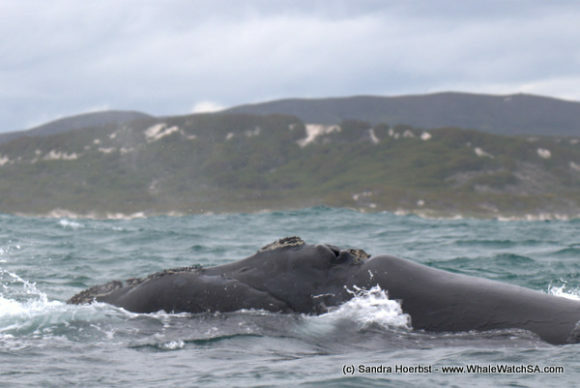 We moved onto Pearly Beach next where we got to see a couple of whales coming together before we made the move to Slashfin in the hopes of having a Great White Shark sighting. 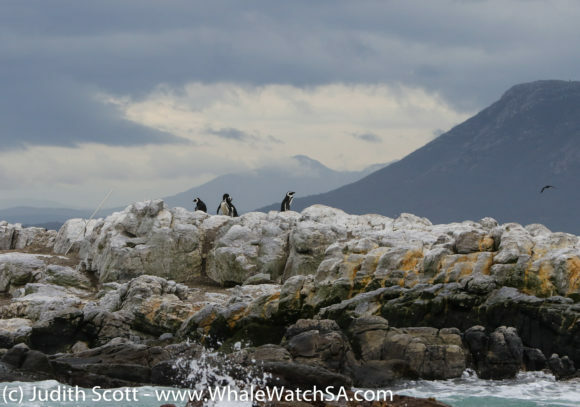 After getting a chance to see one of these majestic apex predators, the harbour was our next port of call. The second trip of the day launched to a moody sky, with the calm, turquoise ocean providing a great contrast to the storm brewing. We hugged the coast towards Franskraal beach where we did our daily YSI reading. 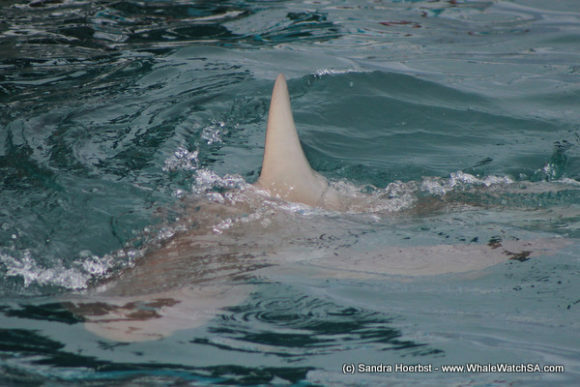 Here, we spotted not 1 but 3 Sunfish patrolling the water for their favourite food, the Box Jellyfish. These little guys are one of the smaller jellyfish species off the South African Coat, but their tentacles can reach a whopping 70cm in length, which is not too bad for a jelly with a 4cm bell. 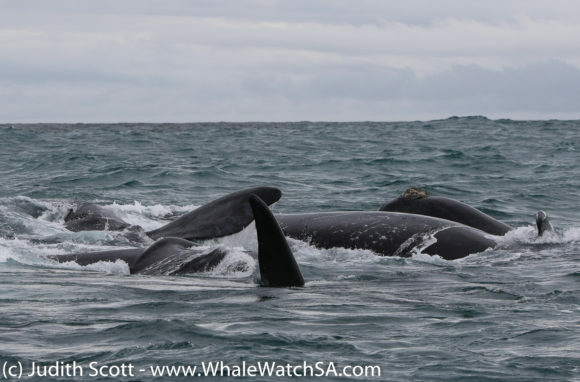 Next up, we checked out Slashfin to see if we had any predatory fish around and, awesomely, we got to see both a Bronze Whaler and a Great White Shark. 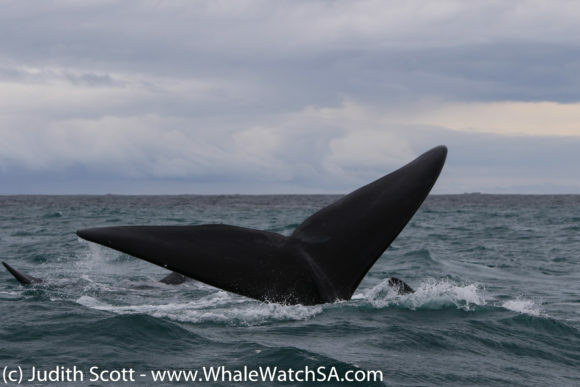 Bronze Whalers are also known as Narrowtooth Sharks and can be find in temperate oceans worldwide. 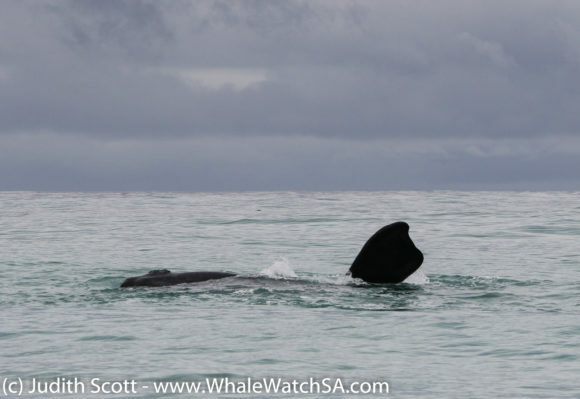 We moved over The Clyde Reef System after this, hoping to catch up with some of the whales that we’d seen earlier. 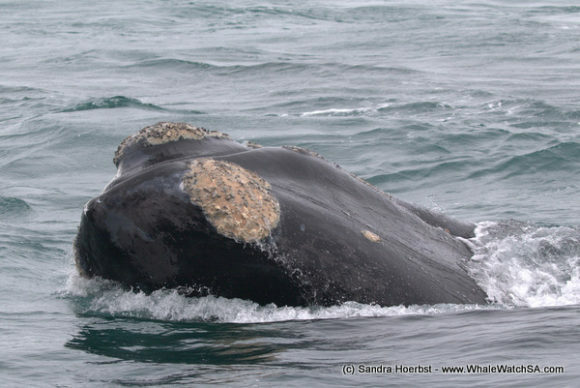 We hit the jackpot just before Pearly Beach where we found 2 adults and a stunning Brindle Sub adult. 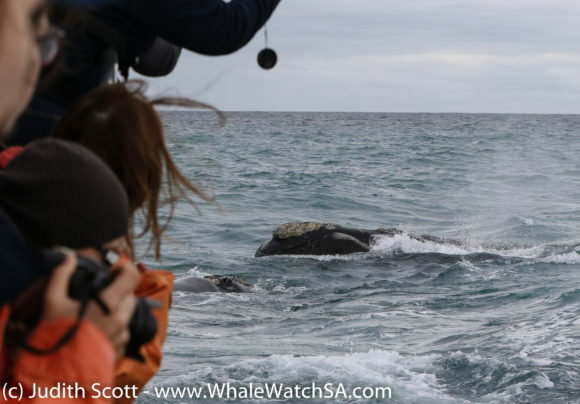 These whales gave us the stuff of whale watcher dreams, an approach so close one could touch the tail of the whale – though we do not because they are a protected species-. 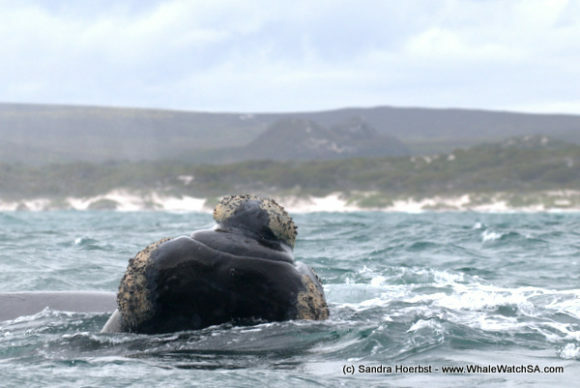 We moved on to a mating group next who afforded us the same opportunity, rolling around next to us as if we did not even exist. 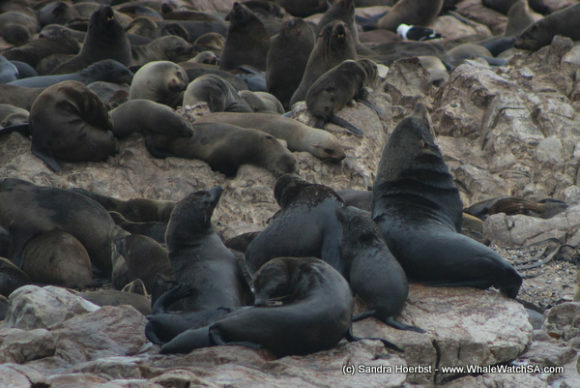 Nothing could top what we had already seen, so we made our way to Geyser Rock to spot the not so elusive Cape Fur Seal. 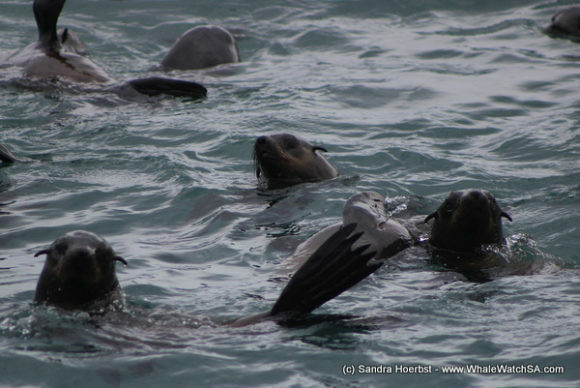 We had comparatively few seals in the water on this trip, which was understandable due to the chilly wind that had begun blowing. 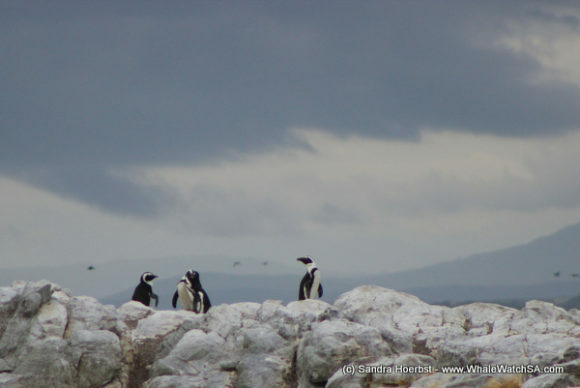 Dyer Island was our last stop of the day where the African Penguins were surprisingly visible. Usually, we really struggle to point out this endangered species but, fortunately, we had quite a few individuals who had decided to enjoy their Tuesday afternoon golden hour from the white boulders just above the water’s edge. 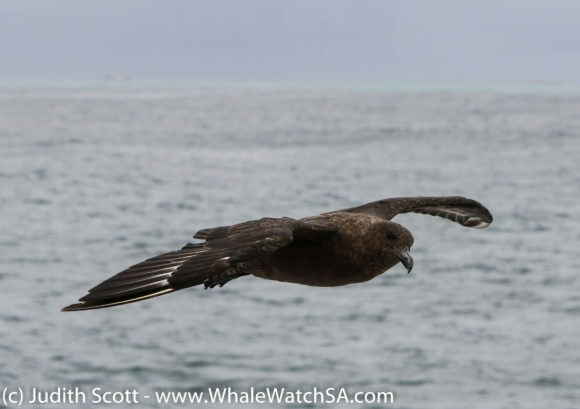 The trip back to the harbour was a peaceful one dotted with Cape Cormorant flocks who were all returning home after a long day out at sea.